There's everything a stalwart adventurer needs inside this deck of boons, fresh from the finest armories and storehouses in Golarion. 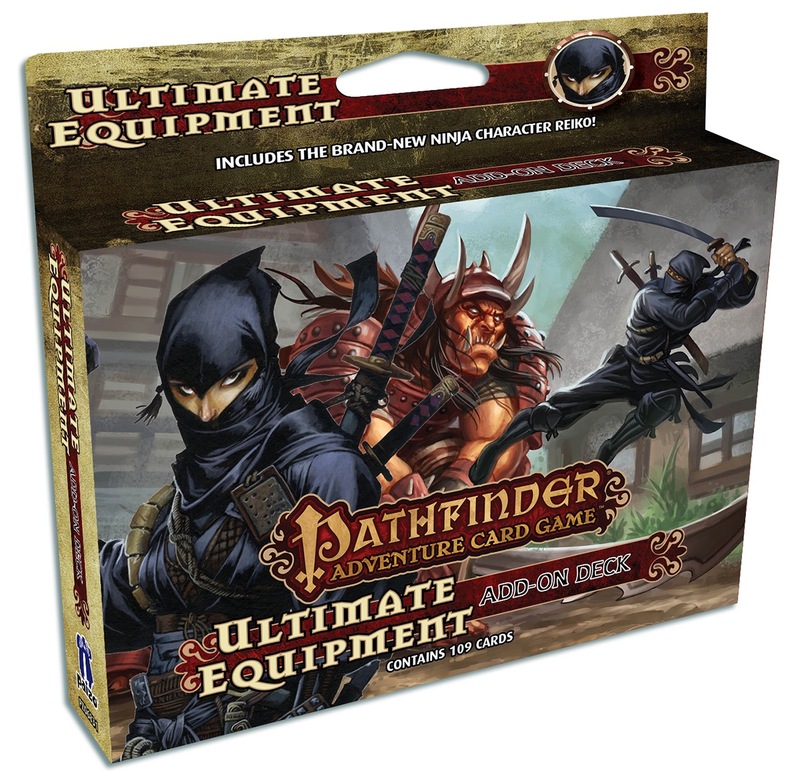 Containing new weapons, armors, items, and other cards, the Ultimate Equipment Add-On Deck can be used with any Pathfinder Adventure Card Game character or Adventure Path. Or you can play with the character included in this 109-card box: Reiko, the iconic ninja. 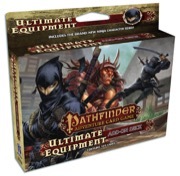 Suit up with the Ultimate Equipment Add-On Deck! Ooooooo! New equipment AND the Ninja?! Cool. We are loving the ROTRL adventure...would love to add more to it!